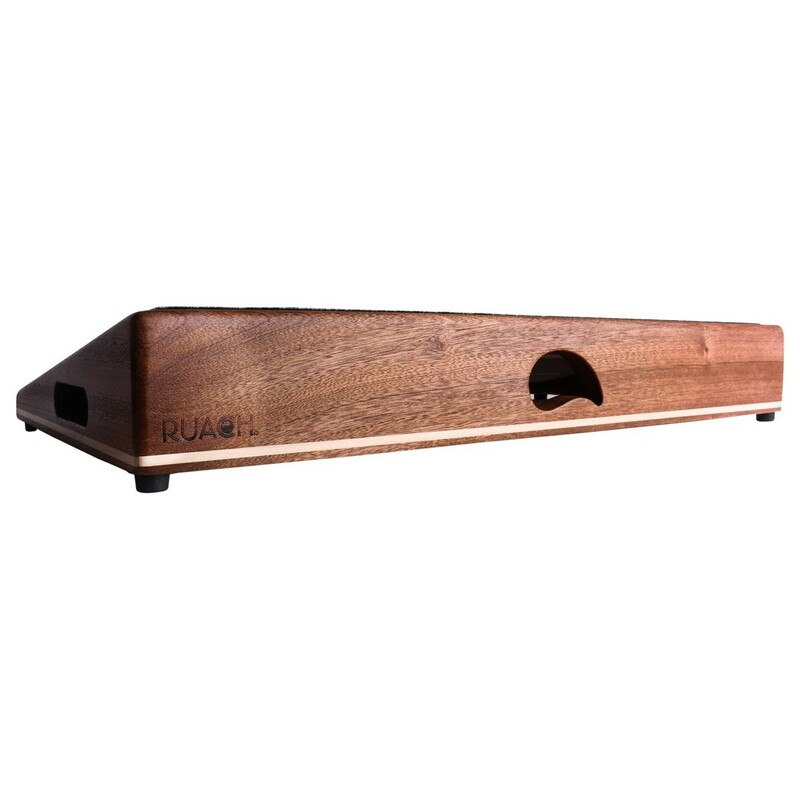 The Ruach Foxy Lady 3 Pedal Board is the third board in the Foxy Lady range, measuring at 61x32x8cm. 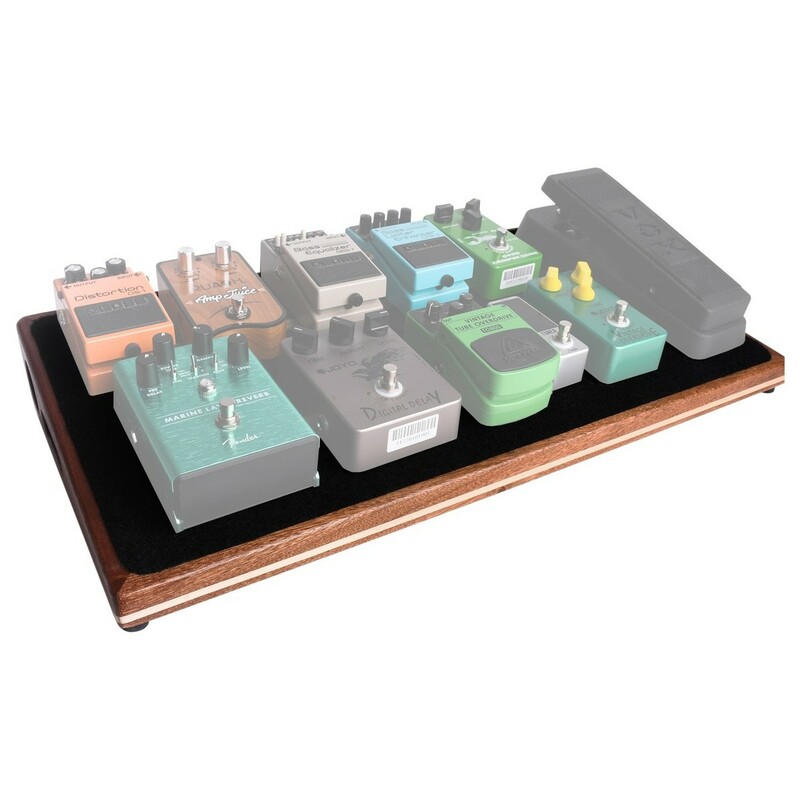 The larger design of the board accommodates up to 12 large pedals, or 24 nano pedals of your choice, perfect for those with a large collection of pedals. With an included carrying case and Velcro for keeping your pedals secure, the Ruach Foxy Lady 3 Pedal Board is ideal for any travelling or gigging musician. The Ruach Foxy Lady 3 Pedal Board is a large guitar effects pedal board, designed to simplify your pedal management and allow you to focus on your music. 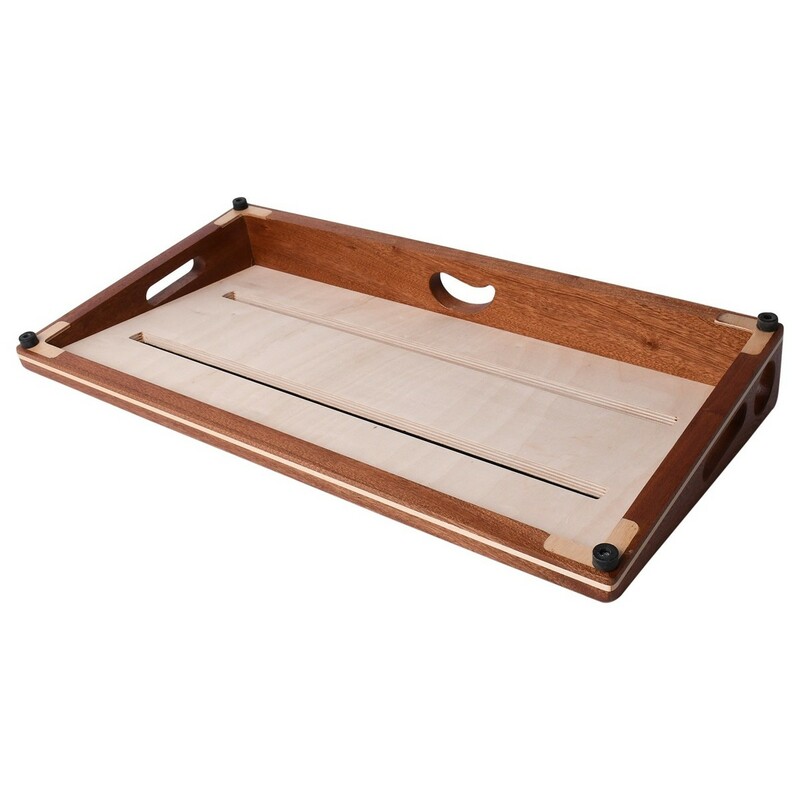 The solid mahogany and ash hardwood design is complemented by a hand-rubbed oil finish, offering a stunning look with enhanced durability. Two solderless locking jacks provide a secure connection for your input and output jacks, whilst eliminating the risk of disconnection during a performance. 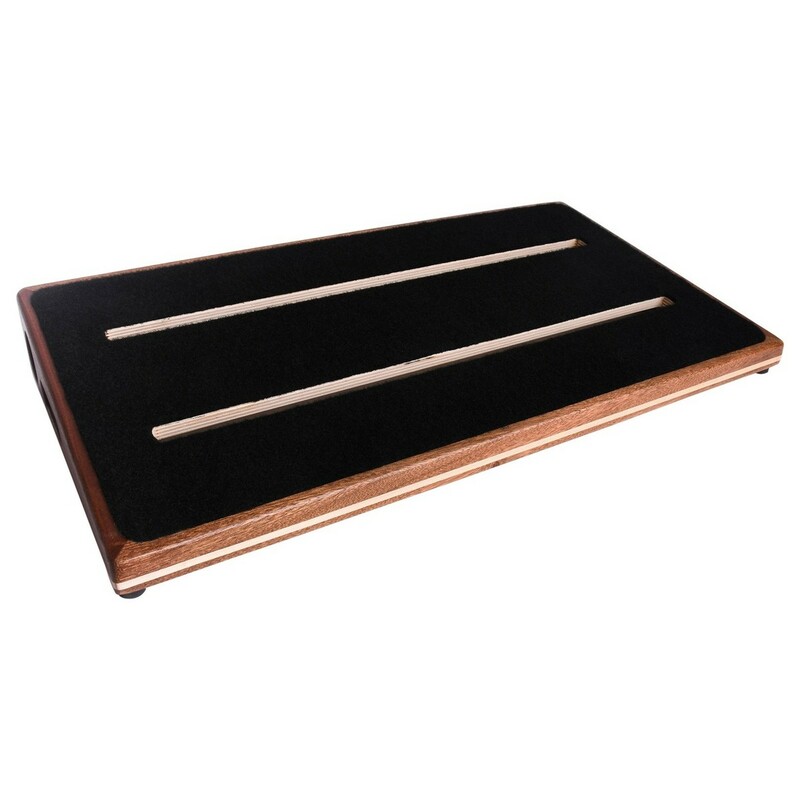 The Foxy Lady 3 Pedal Board also features an ergonomic slanted design for convenience and ease of use during your performances. The rubber feet offer stability and balance on any surface, making the board a great foundation for your pedals. With the option to mount up to 12 large pedals or 24 nano pedals, the Foxy Lady 3 Pedal Board is the perfect board for any travelling or gigging musician.